It works by putting warm or hot water and dipping the feet inside to experience the effect of the hot bubbles and the rolling massager. This foot spa is made of durable plastic and an elegant design that gives it an appealing look. Massaging roller, which revives and renews tired feet, providing a soothing effect. Pumice stone. This is removable and it helps to keep the heels soft. Pedicure kit with five pieces to keep the feet beautiful. Smart Heat for maintaining the heat in the water to ensure you get soothing relief. Bubbles to provide the soothing massage by reaching all pressure points on the feet. It has vibrations for those who prefer a bit of action instead of still water. This foot spa helps to revive and relax tired feet by means of its massage roller that massages the feet and gives off warm soothing bubbles. You can also use it in vibrations mode if you desire more action. It comes with a Smart Heat system that ensures that water remains warm to provide the soothing relief. It does not require any assembly. It is easy to clean and maintain due to its few crannies and nooks. It is light at 4.3 pounds and therefore easy to carry unlike other foot spas that prove heavy to carry. Its compact size also ensures it can fit even in small spaces in the bedroom or in the bathroom. The foot spa can be used with Epsom salts without being damaged. The pedicure set is an added advantage that helps to keep the feet beautiful. It also helps to keep the heels soft thanks to the removable pumice stone. It does not heat water, which means you need to heat the water elsewhere in advance. This can be inconveniencing to some. Some users also complain that it does not keep the water hot for long. It does not feature many attachments that are seen on other foot spas. However, it is understandable given the price. It is slightly shallow for those who prefer deeper foot baths. The spa may not be suitable for someone with feet bigger than size 11. Before making your purchase, it is good to check out features of other similar products so that you can make an informed decision. 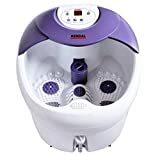 There are many foot spas in the market, and we are going to compare this product with two of them: the Conair Foot Spa with Massage, Bubble and Heat, and the All in One Foot Spa. 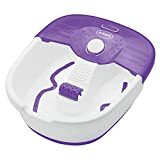 If you are looking for something in the same price category but for longer feet, then Conair Foot Spa with Massage, Bubble and Heat can be a good choice. This foot spa has a heat feature that keeps the water hot, it is extra deep for those who prefer a full foot massage and extra-large for those with large feet. It also comes with three pedicure attachments, a leg rest as well as spot massage. However, just like Dr. Scholl’s Invigorating Foot Spa, it does not seem to retain heat for long. The All in One Foot Spa is a good alternative if you are willing to spend a little extra for more features. This foot spa has removable massage rollers, heating ability, oxygen bubbles, high frequency vibration, water wave, LED display, digital temperature and time control. The temperature, vibration and bubbles are adjustable. It can fit up to size 14 feet and therefore large enough for most people. The larger front reduces splashing and the wheels are useful for moving it especially when it is full of water. It also has a drainage pipe for removing the water which is a plus. Other than being a bit large and the bubbles being a bit weak, the foot spa provides the needed relaxation. However, to get all these features you need to spend almost three times of what you would spend on Dr. Scholl’s Invigorating Foot Spa. 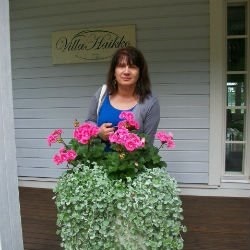 This makes the Dr. Scholl’s Invigorating Foot Spa the best foot spa in this review. In as much as it does not heat the water, it has features that enable it to relax and sooth tired and aching feet. These include the massaging roller, massaging bubbles, the pedicure set, pumice stone and the Smart Heat system that helps in retaining water heat. You can also use vibration if you do not want the water to remain still. What’s more is that you do not have to spend a lot to enjoy these features. 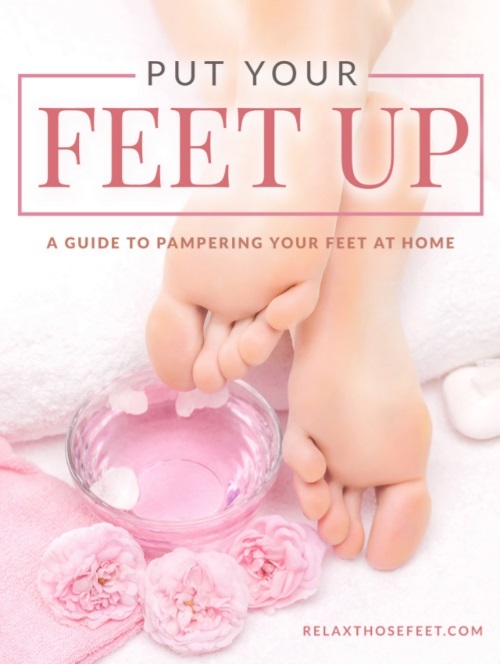 If you are looking for an inexpensive way to relax and revive your tired and aching feet, then Dr. Scholl’s Invigorating Foot Spa is the way to go. The foot spa provides the much-needed relaxation using the massaging roller, the warm bubbles and the bumps at the bottom of the tub. It also comes with a kit to help keep the feet beautiful and uses the Smart Heat system to keep the water warm. However, you will have to be content with the fact that it does not heat water and may not keep the hot water you put in it hot for long. It is much better than dipping your feet in a bucket with hot water, given the features it comes with. It is a good buy given the price. This means that you should not expect features found on a high-end foot spa. Massager invigorating and reducer all in one!!! !